A cross-country road trip gives travelers the chance to see the United States from a whole new perspective. Hands down, it’s an experience that everyone should have at least once in his or her life. This route offers a sampling of the county’s wildly diverse regions from west to east, visiting some of the iconic cities and natural landmarks that make the all-American road trip so appealing and so undeniably unique. Start off strong in the quintessential city of the west, setting sights on the Golden Gate Bridge and the hippie enclaves of Haight-Ashbury. Exit the Bay Area by heading northeast into the Sierra Nevada mountains and the impossibly blue waters of Lake Tahoe—the largest alpine lake in North America. Hike or bike around this mountain paradise then spread out on the beach and take a dip in the crisp lake. Closest KOA : Located just four miles from Lake Tahoe, the Lake Tahoe KOA is surrounded by tall pines and features easy access to dozens of activities in the area, including hiking, biking, horseback riding, kayaking, and golfing. Take a ride on the Tahoe Queen paddle wheeler or visit the casinos nine miles away on the Nevada side of the lake. Cross into Nevada and head south on US-95 through a wildly desolate part of the state—break up the drive with a stop at Tonopah Brewing Company—before reaching the shimmering lights of Las Vegas. Soak up the tinsel of Sin City by walking The Strip and poking into a casino or two. Need to get outdoors? Hike or road bike in solitude amongst the rugged desert landscape of nearby Red Rock Canyon National Conservation Area. Closest KOA : At the Las Vegas KOA Journey at Sam’s Town, you can camp Las Vegas style, staying just steps away from the largest casino on the Boulder Strip. You can also take the free shuttle to the Vegas Strip and downtown Las Vegas. Or stay on site and enjoy a movie at the 18-screen theater, bowl at the 56-lane alley, or dine at award-winning steakhouses. Leave the twinkle of Las Vegas behind to make the pilgrimage to one of the country’s most notable national parks: The Grand Canyon. 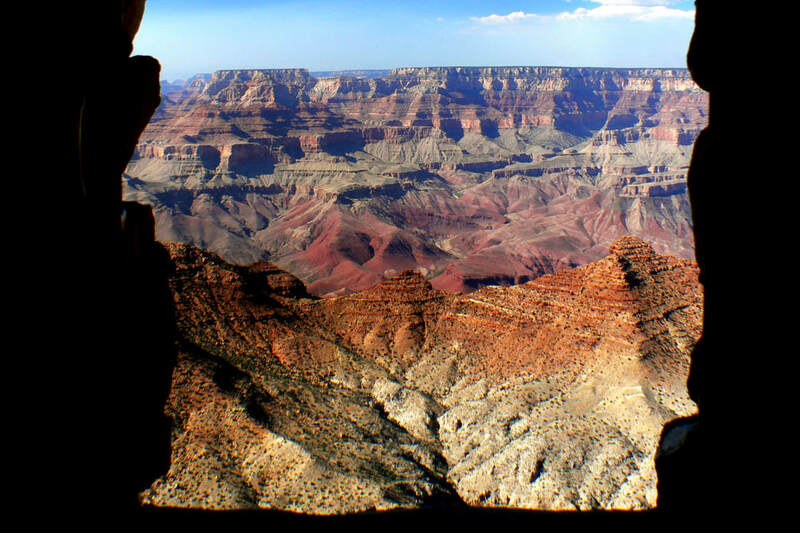 For a one-day visit, drive to the canyon’s South Rim via Hermit Road (take the free shuttles during peak season) for the classic panoramic views of the one-mile-deep gorge. Follow Desert View Drive as it skirts along the rim and stops at one jaw-dropping vista after another before taking US-89 south to Flagstaff. Closest KOA : The Flagstaff KOA is a beautiful mountain campground that sits among the ponderosa pine at the base of the San Francisco Peaks. Cabins, teepees, and campsites are available, and it’s only two miles from the Flagstaff Aquaplex indoor water park. Take the time to explore the high-altitude oasis of Flagstaff, an outdoorsy city smack dab in the heart of Coconino National Forest, home to the largest ponderosa pine forest in North America. Travel south through Phoenix and on to Tucson where more natural wonders await—rows upon rows of towering saguaro cactus dotting the Sonoran Desert. Drive into Saguaro National Park’s Tucson Mountain District and pick a hiking trail to get an up-close look at the giant cacti that have become an indisputable trademark of the American Southwest. Closest KOA : An oasis in the desert, the Tucson / Lazydays KOA Resort features abundant fruit trees in the park, two swimming pools, and a nine-hole putting green. Venture slightly off the beaten path to the lovely city of Las Cruces, bordering the Chihuahuan Desert and the imposing Organ Mountains. Got extra time to explore? Check out the otherworldly landscape of White Sands National Monument and sample the authentic southwestern cuisine in this decidedly foodie city. Closest KOA : Just off of I-10, the Las Cruces KOA Journey sits at 4,000 feet of elevation and features stunning views of Las Cruces and the Mesilla Valley. Take advantage of the excellent Mexican cuisine in the area, as well as a farmer’s market. No all-American road trip would be complete without a visit to Texas. Cross the southern portion of the state toward San Antonio, a city steeped in colonial history. 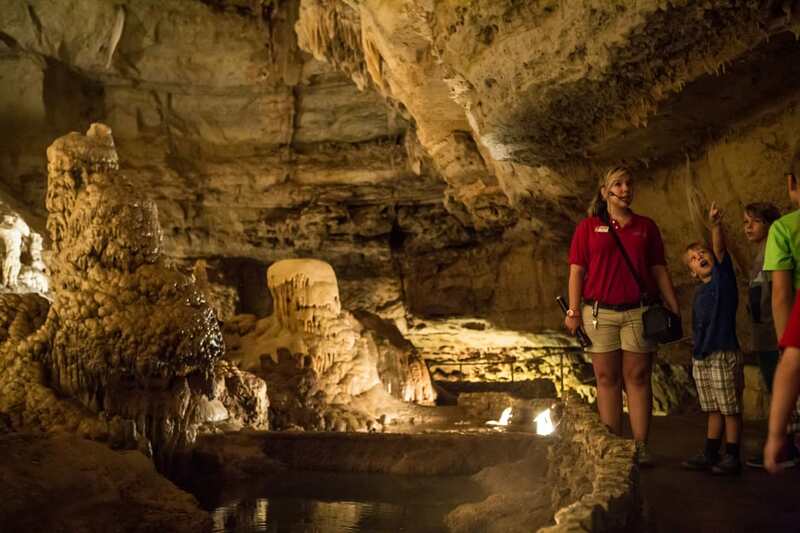 Visit the old Spanish mission of The Alamo, stretch your legs along the San Antonio River Walk, and explore the giant limestone caves at Natural Bridge Caverns. Closest KOA : The San Antonio KOA Holiday is just 10 minutes from downtown, and the 300-site campground offers all the amenities you need to combine both camping and exploring the city. Cruising east on I-10 to New Orleans, the world outside the windshield transforms from the endless plains of Texas to the flowering magnolias and moss-draped cypress trees of the Louisiana bayou. The Big Easy is unique in the United States: Nowhere else do swamplands, French style, African culture, live-music-fueled street parties, and steamy southern eats join into such a vibrant melting pot. Eat a shrimp po’ boy, Cajun fried chicken, and a beignet, then walk it off in City Park. Closest KOA : Stay at the New Orleans KOA, and you can take a shuttle or city buses to explore the French Quarter. You can also bike or hike on the trail atop the Mississippi levee and watch the paddlewheel ferries. Continue the tour de southern culture by getting to know the definitive hotspot for country music—or any genre of music, for that matter—in Tennessee’s capital city. 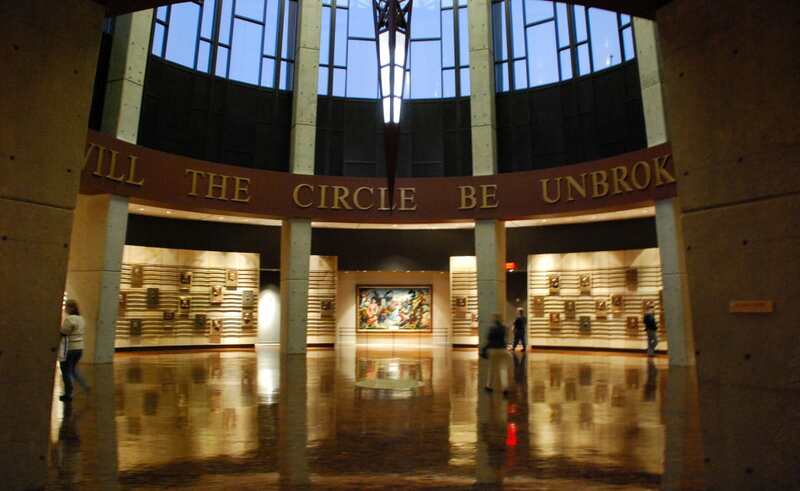 Experience the Country Music Hall of Fame and learn to boot scoot at live music honky-tonks on Broadway. Bike the greenbelt along the Cumberland River or rent a kayak to get on the water to unwind the next day. Closest KOA :The Nashville area offers three convenient KOAs perfect for music lovers. Located less than three minutes from the Grand Ole Opry, the Nashville KOA Resort offers a concierge to help you with sightseeing and tickets to concerts and events. Recently renovated and ideal for guests who want to enjoy the city, yet still escape it all, Nashville North KOA offers live music right on site. East of the city you’ll find Nashville East / Lebanon KOA Journey which features convenient Pull-Thru RV sites designed for big rigs amidst lush surroundings. Head east on I-40 toward Gatlinburg, the gateway town to the iconic rolling peaks of Great Smoky Mountains National Park. Straddling the Tennessee-North Carolina state line, these mountains are amongst the oldest on the planet. Drive Newfound Gap Road to Clingmans Dome for the Smokies’ characteristic panoramas or seek solitude amid the park’s 800 miles of hiking trails. Closest KOAs : On the Tennessee side, the Gatlinburg East / Smoky Mountain KOA Holiday is on the border of the national park—you can walk right in. It’s also just 20 minutes from Gatlinburg where you can enjoy both live music and whitewater rafting. On the North Carolina side, the Cherokee / Great Smokies KOA Holiday is set in the foothills of the Great Smoky Mountains with 360-degree views of the mountains. It’s bordered by the Raven Fort River, which makes it an excellent option for those who like to fish. There are two main options for driving between these national parks: north of the mountain range along I-81 or traversing the Appalachian highlands on the 469-mile Blue Ridge Parkway, the country’s most beloved scenic byway. The parkway travels through Asheville, North Carolina (known as a craft beer mecca), Roanoke, Virginia, and countless beautiful vistas before reaching Shenandoah National Park. For many, cruising Skyline Drive is the primary way to experience this park, but with more than 500 miles of trail, there’s plenty of secluded forest to explore on foot. Closest KOA : At the Harrisonburg / Shenandoah Valley KOA Holiday, you’re just a short ride from Skyline Drive. You can relax in the pool, finish in the pond, or take advantage of the hiking trails into the George Washington National Forest. End the cross-country extravaganza in the nation’s capital, where famous monuments and museums like the National Mall, Lincoln Memorial, the Smithsonian, and the White House will round out the all-American experience. 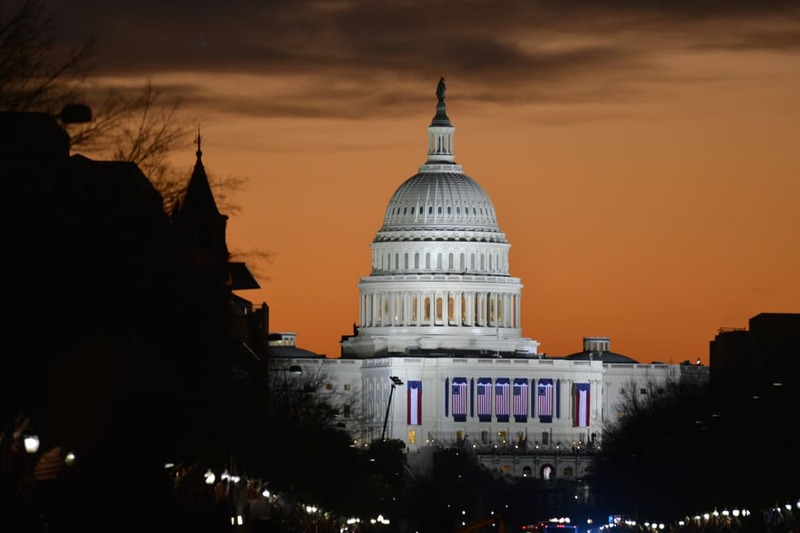 Closest KOA : The Washington D.C. / Capitol KOA Holiday is the perfect option whether you want peaceful time in the country or access to the nation’s capital. Take a daily shuttle to the U.S. Capitol and explore the National Mall or take advantage of the pool and outdoor activities on site.